It would be a shame to get all the eye health benefits of following The CR Way and then damage your eyes by excessive exposure to the sun's ultraviolet radiation. So we thought it important to include protective sunglasses as a category in the store. 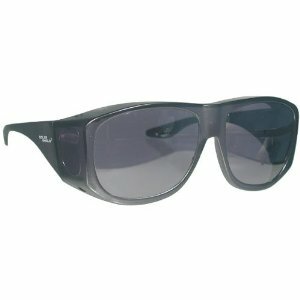 Each one of the offerings features a lense that provides maximum UV protection. We also selected glasses with a wrap around style so the whole eye is protected. Right now, we are using the Solar Shield, but are open to your recommendations. The ears are very sensitive to damage from noise. Once damage occurs, it's difficult, if not impossible, to repair. The only option would be a hearing aid, which no one would opt for if they could avoid it. So we think it's vital to have a system in place to protect your ears from loud noises. This means any noise above 85 decibels, the point at which damage occurs. So we decided to offer ear protectors in The CR Way store, and not just any ear protectors will do. Simple ear plugs that people stuff into the ear canal can be damaging themselves, by putting excess pressure on the inner ear. So we opted for advanced ear protection with Peltor, a brand that is used by professionals when they are exposed to high decibel levels. The Peltor is easy to keep around in the kitchen for use when running blenders, food processors and other household items that make a lot of noise.